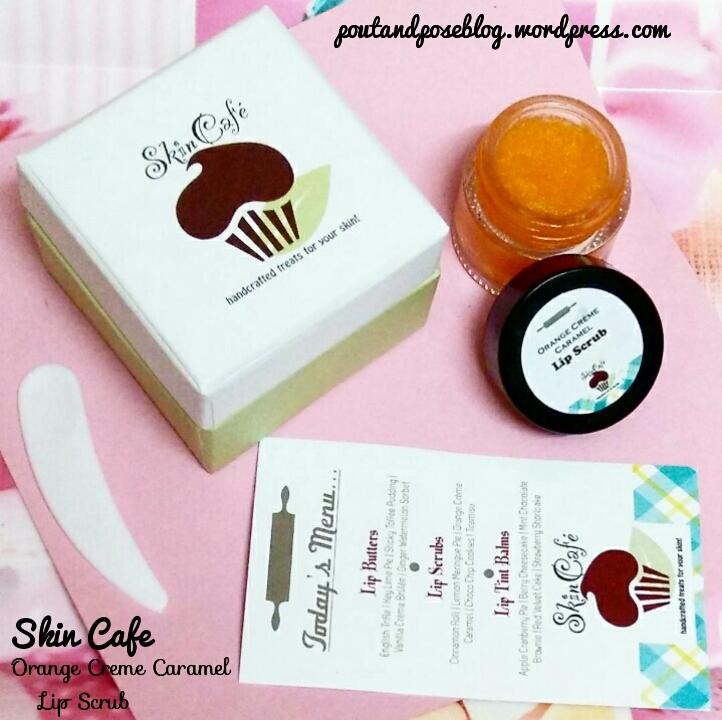 Hello Everybody, Today i am reviewing a lip product from a brand called Skin Cafe. Let me tell you a lil about the brand before starting with the review. About the brand – Skin Cafe handcrafts luxurious skincare treats using fresh, natural, plant-based and organic ingredients. They sell made-to-order skin care products using fresh and wholesome ingredients. They create products after customer places an order. They make it fresh. None of the products are tested on animals. Moreover their products are paraben free. Product Range- Their product range includes Lip Butters, Lip Scrubs, Lip Tint Balms. The lip scrub comes inside a small see through glass pot with a screw cap. The pot comes inside a thick cardboard square box. I totally love the packaging.The box looks cute. The lip scrub is orange in colour and its texture is fine grind sugar with a generous dollop of shea butter. It smells of orange & caramel. It’s delicious and smells so good that i am tempted to taste it. Well since its natural and doesn’t contains any non sense stuff i wouldn’t mind tasting it  The lip scrub is priced at 950rs. How to Use : scrub gently, wash off (preferably with warm water) and follow with a lip butter or lip tint balm. Overall a good product. I totally recommend this. You are going to notice the results in first use itself. Do try this scrub. The only thing is the price which i find a bit high. Other than that the scrub works amazing. This can also make for a perfect gift for your friend. 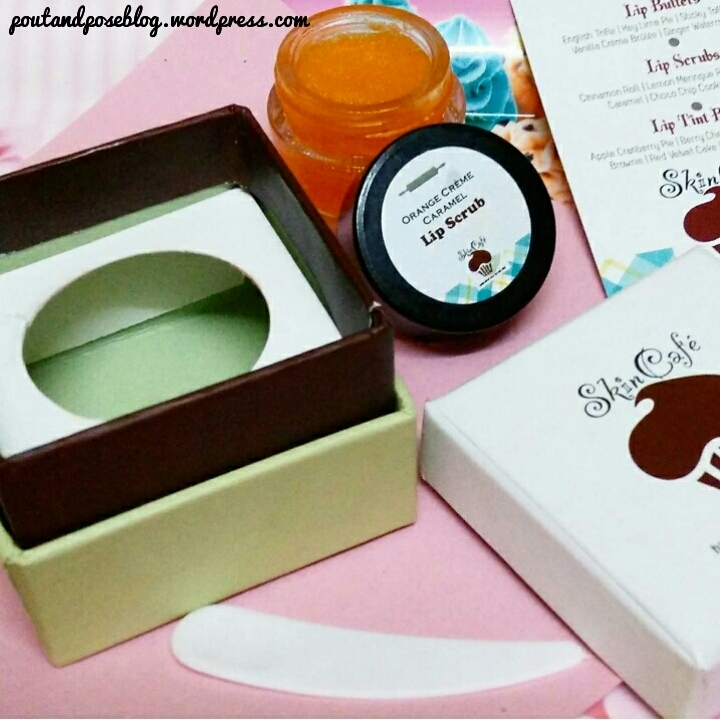 The brand has Lip Combos (lip butter, lip scrub, lip tint ) which can make for a cute gift hamper.